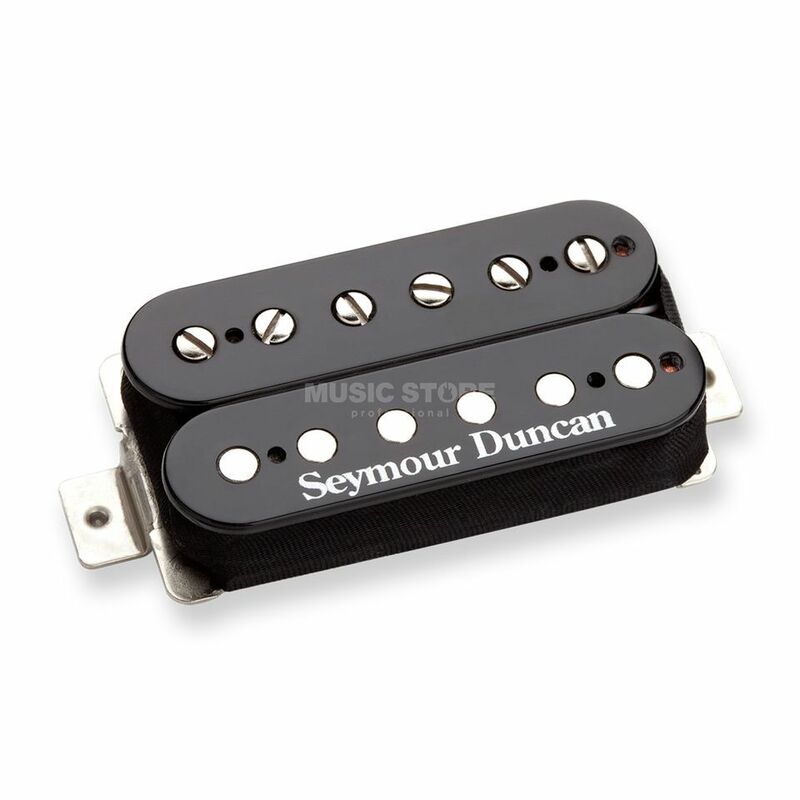 The Seymour Duncan SH-2N Jazz Neck Humbucker Pickup is an electric guitar humbucker pickup, with an alnico V Bar magnet, a nickel silver bottom plate, and 4-conductor lead wire. The Jazz Model neck is a bright humbucker with vintage output that gives you a clear, articulate neck tone. The Jazz Model neck humbucker uses an alnico 5 bar magnet and a special coil wind for an articulate, glassy treble response that balances very well with its full, but tight low end. The scooped midrange give this pickup a smooth tonal character all its own. Originally designed as the matching neck pickup for the JB Model bridge pickup, the Jazz is an incredibly versatile humbucker that will work for almost any style of music. The Jazz Model works as an excellent neck position counterpart for almost any of our moderate to high-output bridge humbuckers. The Jazz Model has been used by many great players over the decades, from Randy Rhoads to Jeff Beck to Seymour W Duncan. Hand built, the Jazz Model humbucker uses an alnico 5 bar magnet, nickel silver bottom plate, 4-conductor lead wire for multiple wiring options, and is vacuum wax potted for a squeal-free performance.